Brighten the day of a well-deserving mother, daughter, sister, grandmother or friend with personalized Insignia Mug for her. 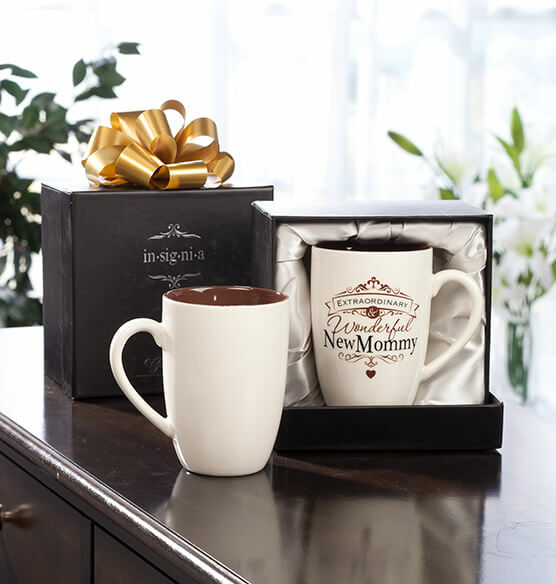 Our PersonalizedThings by Exposures custom coffee mug is crafted of earthy stoneware, featuring a soft cream color on the outside and a dark brown enamel on the inside. On front, she'll see an inscription that says, "Extraordinary & Wonderful." 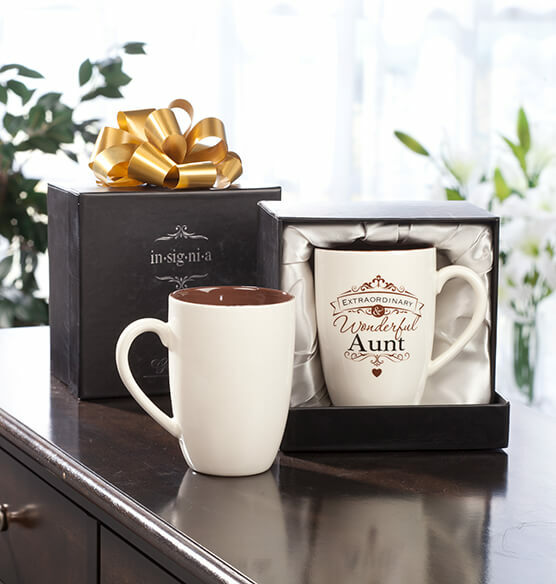 On back she'll see your personal message created just as a gift for her. 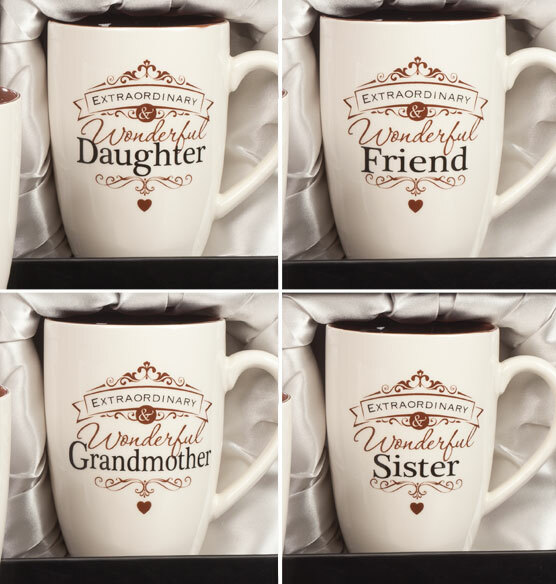 I chose one for my sister. However, need one more line to put her name on to be personalized. It takes forever for Exposure to ship! It has been 12 days and the one for my husband has not been shipped yet!